1977 Alfa Romeo Alfetta 2000 brochure. 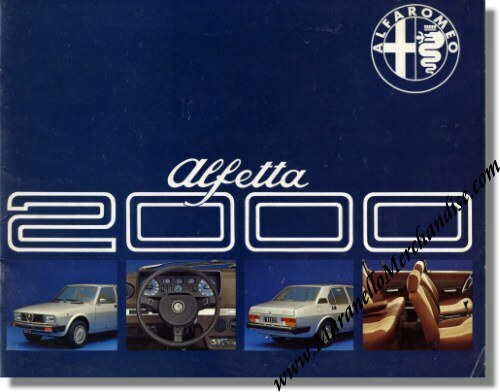 Vintage March 1977 sales brochure for the Alfetta 2000. Print reference: 773 G 524, printed by ILTE, Moncalier, Italy. Good condition for its age.